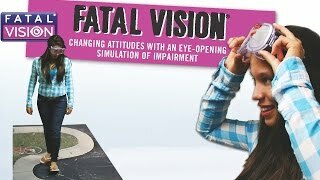 The Event Kit includes six Fatal Vision® Alcohol Simulation Goggles, combined with the interactive DIES® Alcohol Impairment Activity Mat and Smash Match® Impairment Challenge. These tools will help you demonstrate through multiple activities the simulated effect of alcohol impairment, including impaired targeting skills, slower judgement, diminished focus, delayed reactions, reduced peripheral vision and a loss of balance and equilibrium. Use our included evidence-based program and user guides to help reinforce a meaningful experience about how susceptible people are to the dangers of alcohol impairment, especially when driving. This package includes the resources contained in the Fatal Vision Alcohol Impairment Program Kit, plus two additional activities to enhance and increase your program’s level of engagement and the variety of activities that you can deliver. Innocorp instructors work with you to make sure you are familiar with your Innocorp products and support materials. We identify how you will use your Innocorp prducts in your existing training to help you accomplish your program goals. We work with you to help you practice the delivery of your program using your Innocorp products. One-day on-site training, 4-6 hours, one trainer, up to 10 participants. *AK, HI and International customers, please call for training quote.